Update: In the years since I put together this blog post and video (back in August 2015), I've learned from subsequent projects that WeGoLook tends to have trouble finding properties that aren't clearly marked and don't have a physical mailing address. As such, I don't recommend them as the best resource for vacant land inspections anymore. They can still be a great option for houses, buildings, autos, and other easy-to-find places, but using them specifically for land isn't always the most ideal fit. A few months ago, I discovered a pretty cool service that could potentially be a big help in my land investing business. As a land investor, I buy and sell vacant lots all over the country. Sometimes these properties are in my home state, other times they're thousands of miles away – but in almost every case, these properties are not in my backyard and they're not easy to get to. As any prudent investor will tell you, it's pretty crucial to get some kind of visual inspection before you drop thousands of dollars on a piece of real estate. Whether you're sinking your own money into a deal or trying to convince someone else to – it is undeniably important to know the condition of what you're betting on. In my early days as a land investor, I was actually quite paranoid about this. I used to insist on seeing every property with my own eyes before I bought it. I would literally get in the car and drive myself (sometimes for hours) to each location, just to be 100% sure about what I was buying. There was just one problem with this approach – it was a tremendous waste of my time. 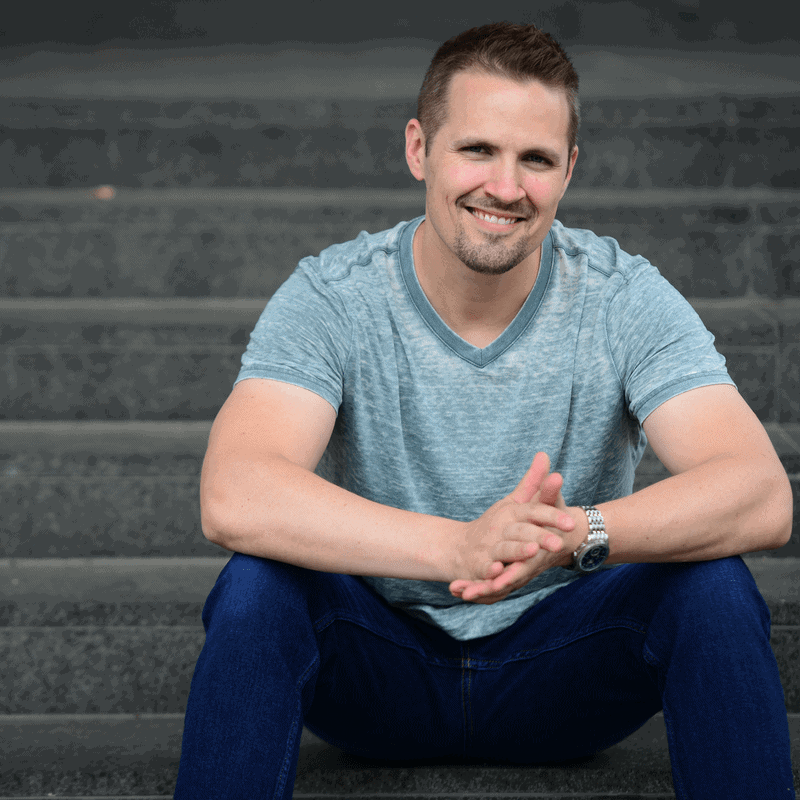 I wanted to do dozens of deals every year, but because of my need for “absolute certainty” on every transaction, I started becoming the biggest bottleneck in my business and the biggest obstacle to my own success. I was never going to reach my goal unless I found a more sustainable solution. As I started investing in more out-of-state properties, I knew something had to change. At first, I tried to enlist the help of some local realtors in the markets where I was working. I also tried to hire a few people on Craigslist to drive by and get some pictures of the properties I was trying to buy. Occasionally these attempts would work out – but in most cases, they turned out to be a huge hassle. Most realtors were a way to busy to waste their time on me, and the people I found on Craigslist were totally unreliable. They either couldn't find the right property, couldn't get good pictures or would just flake out altogether. I always knew there had to be a better way to handle these long-distance property inspections WITHOUT driving myself crazy (or breaking the bank), but I'll be honest – I've struggled for years to find a real solution. It wasn't until just recently when I stumbled upon a company called WeGoLook and everything started falling into place. This past week, I ordered my first property inspection report from WeGoLook and after seeing the results, I've come to the sweeping conclusion that there is no cheaper, more timely or more convenient solution for remote property inspections than what this company has to offer. 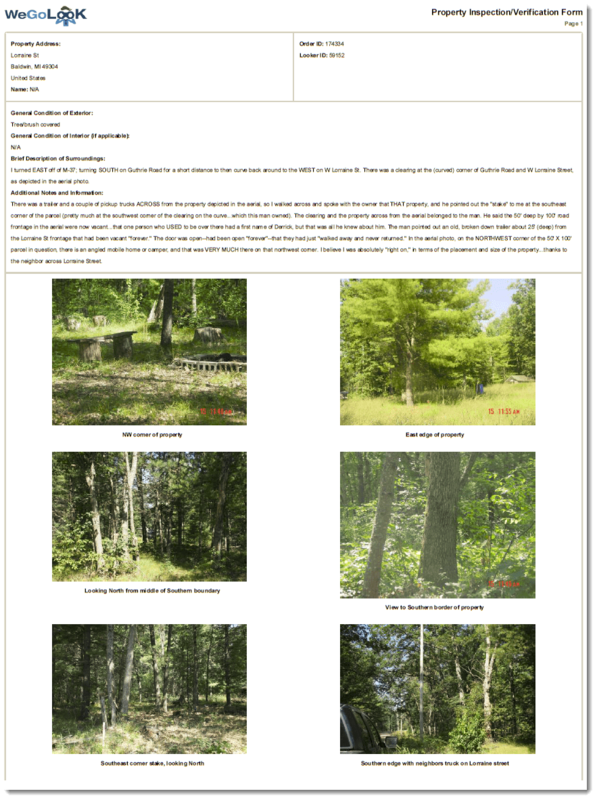 For the past few years, I've owned two adjoining parcels of land in a fairly remote area of Michigan. 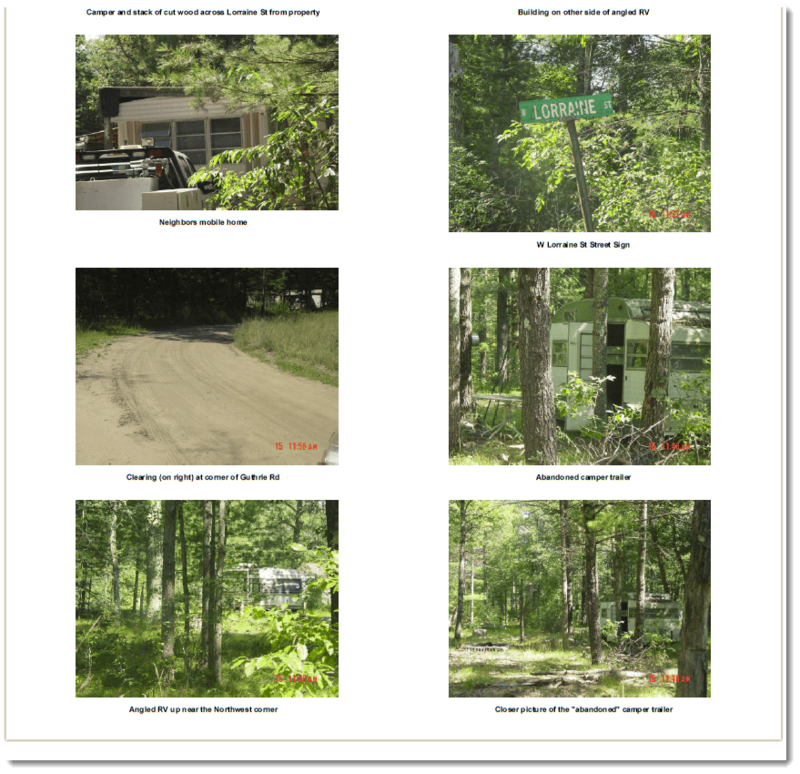 These properties are located in a county that keeps very poor public records, has no GIS maps available online, Google Street View isn't available anywhere near the property and to top it all off – the property doesn't even have a registered address. The simple act of finding this property was going to be a challenge – and that was part of why I chose it. On my first trial run, I submitted my order and they responded to me via email within the hour. With nothing more than the parcel numbers, county, and state – they did have the ability to research the property and pinpoint it's exact location (though this would involve a higher cost than the base price of $69 – because it requires some outside help involved to get there). Luckily, I already had a parcel map and knew the nearest intersection. After I gave this to them, they were able to locate my property relatively quickly. 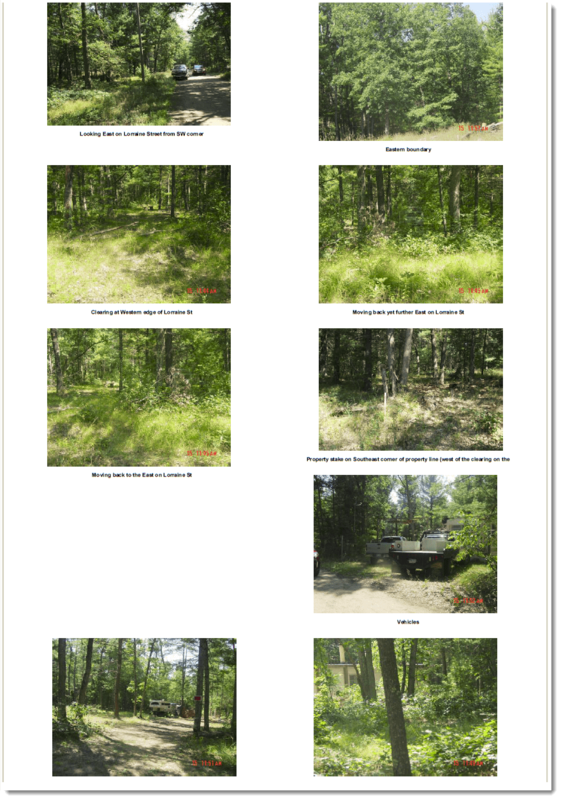 They also sent me a zip file with copies of the LARGE, high-resolution images that were embedded in the report above, so I was able to get a really good look at the condition of my property. As it turned out, someone had parked their camper on my property without telling me. I'm glad I had WeGoLook check it out – because if it was up to me – I'm not sure when I would've made it out to see this property… it could have been years until I knew about this! It's best to think of this service as a hired set of eyes on your property. If you're not able to visit a property and walk through it yourself, WeGoLook is your next best option (and given the price tag and level of convenience, it really is a bargain). It's also important to recognize what this service isn't. These guys aren't appraisers, they aren't environmental consultants and they aren't there to provide cost estimates for renovations or construction projects. There is no specific “expertise” involved in these property inspections per se. What you're paying for is a visual assessment of what's going on at the property (the same thing you would get if you were walking through it yourself). In other words – it's best to think of this service as a verification tool. Personally, I was impressed by their aptitude at finding the property and getting some decent pictures. As you can see – these images wouldn't necessarily qualify as professional photography, but they could certainly be sufficient to include in a property listing if the need ever arose… and that's worth something too! I found that WeGoLook was a very accommodating service. Their typical property inspection reports come with most of the details you're going to need, but if you need them to go the extra mile for some reason, there's a lot more they can offer if you're willing to pay for it. 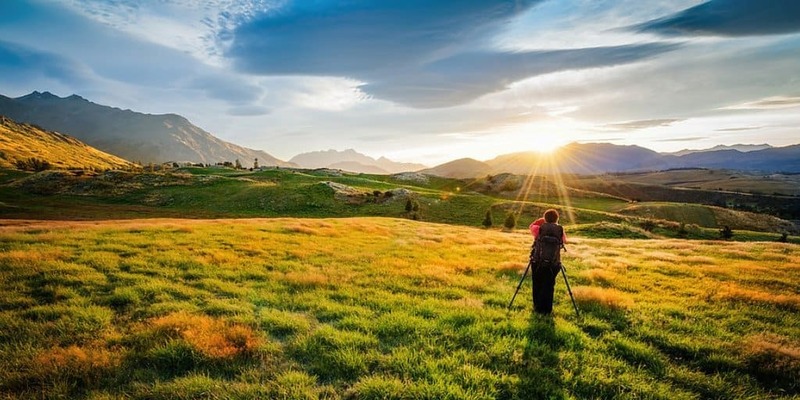 Just speaking for myself, WeGoLook is a very ideal solution for what I do. As I mentioned earlier, most of the properties I buy are vacant land and even though these properties don't require a ton of digging, it's still important to have SOME idea for the condition of a property before buying it. You can certainly see a limited perspective with tools like Google Street View, but you simply cannot get the same level of detail about the current state of your property without a site visit like this. While reviewing this service, I learned that property inspections are just one of several services that WeGoLook has to offer – and they do work for some pretty big corporate clients, insurance companies, financial institutions and the like. These guys are great for anyone who needs to “check in” on the condition of a house, a car, piece of equipment, rental property… you name it. They even have a mobile notary service that can be a major help in handling long-distance closings. Whatever your situation is, if there comes a time when you need a set of eyes in a place you can't get to yourself, be sure to check with WeGoLook – because there's a good chance they can handle this job at a MUCH lower cost than you could do yourself. I have used WeGoLook and have had a great experience with them, but every property is different and depending on the components of what you're evaluating, your experience may vary. Also note that I have an affiliate relationship with WeGoLook and at no additional cost to you, I will earn a small commission if you enlist their services through the links above. I am recommending this service because it is an extremely helpful tool for real estate investors, not because of the small commission I will make if you decide to use them. Please do not spend your money unless you feel this will help you in your business. Thanks for the review! I’d been wondering about WeGoLook and considering using their services for some rural property I own, so I appreciate the details. Awesome! Thanks for letting me know Adrienne, I’m glad I could help inform you! This is a great article. I had never heard of WeGoLook before but really like what they offer. I have looking to purchase properties in more rural markets and this will come in handy to save time and money. Thanks! Awesome! I’m glad you found this stuff helpful Brian. Best of luck with you next rural deal! Hi Seth i want to start investing in land. I have enough money to start but my problem is my age. I’m 17 and I was curious of what (if any) legal requirements in regards to age might be. Again I’m really interested in getting started, however I don’t want to start if my age is going to be a problem. I’d like to Join REptistor.club and get started but I first wanted to ask and see if you know of any laws/rules regarding age. Hey Zach! Wow, I’m impressed. I don’t know many 17 years olds who are as interested their financial future as you seem to be – that’s awesome! Keep this up and you’re gonna go far. As for your age, I don’t think this would be an issue, but I honestly don’t know for sure. I don’t know of any legal issues with holding title to real estate, and I can’t think of any reasons why a financial institution would keep you from doing business with them. At the most, you might need a “legal adult” to be listed on some accounts with you, but even that is a BIG maybe (and if so, I’m sure you could get around this obstacle easily enough). To get the full answer, you could probably just call a local title company and ask them if they know of any issues relating to your age. I’m pretty confident the answer will be “no”, but they could probably give you a more educated answer that me. Keep up the good work Zach! Even if you need to wait a few months to get started, you’re on the right track! Thanks so much for the advice Seth! I’m sure I’ll be talking to you again some time soon! A very good post to share. Please continue to share with us your knowledge regarding this niche. Thanks David – will do! Wow, this sounds like a great solution for the long-distance investors. Thanks for sharing! No problem Daniel – thanks for checking it out! Me and my wife are looking for our final retirement property out of state and wegolook seems like a great solution for us. Thanks for the article and video on youtube! Do you have a rule of thumb as to which properties you’d use this service for before buying the property? Like, for example, the value of the property. As many land deals could have a purchase price on a couple hundred dollars, would you take your chances on those types of deals and not order a “looker” for those, but for more expensive ones you would? Any other rules oof thumb other than price? As always, thanks for your awesome blog post! Hi Noam – good question. For the ultra-cheap deal (like, under $200), assuming it’s not in a ghetto and I’ve verified through Google Earth and AgentPro247 that there are no other obvious issues jumping out at me, I would usually just take my chances. Another thing to consider beyond your purchase price is your expected selling price for the property. For example, if you buy for $200 and expect to sell for $10,000 – it’s pretty easy to justify a visit with that kind of built-in profit margin. Hi Seth, you note that you don’t use WeGoLook anymore – how do you handle this issue now? Hi Brian – these days, I’ll either find someone on Craigslist to handle it for me (which can be hit or miss) or I find a local realtor who doesn’t mind helping me out.